The team at KLM Accountants were rapidly outgrowing their office space and were in desperate need of a new space plan design. 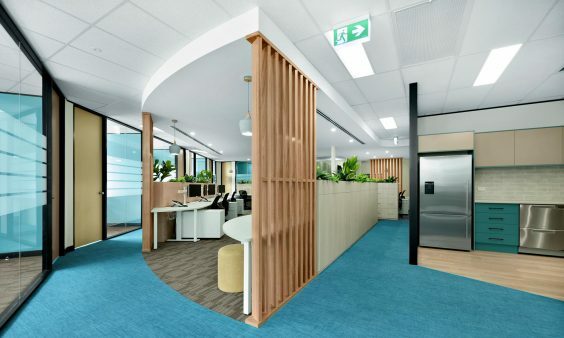 The new office design and fit out needed to provide smarter ways for the team to work by connecting the team and creating an office space that reflects their culture. The partners wanted to give their team a modern and motivating workplace which included a larger kitchen and breakout room, new client meeting space and smarter storage solutions. 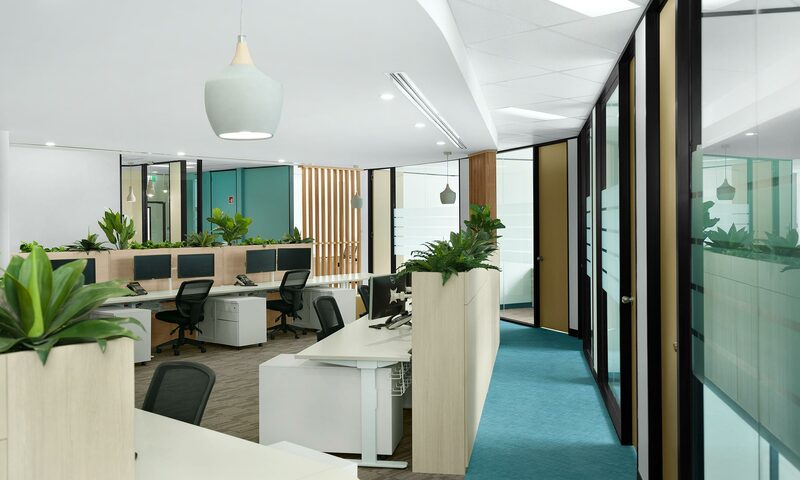 Considering the main purpose of the office design was to create a clean and inviting space for the team, a new space where the team will want to work and stay for an 8 hour day was created. By avoiding the accountant office norm of paper work and numbers, light, bright and warming materials were featured to take away that typical office feel. A warm colour palette, timber and greenery were used to achieve the client’s objectives. Taking inspiration from the company logo, features was created for the main floor and ceiling areas. This provides a distinguished walkway path around the office. The blue feature flooring clearly leads the way around the teams and towards the management offices. The intention was to improve communication flows and team connections. 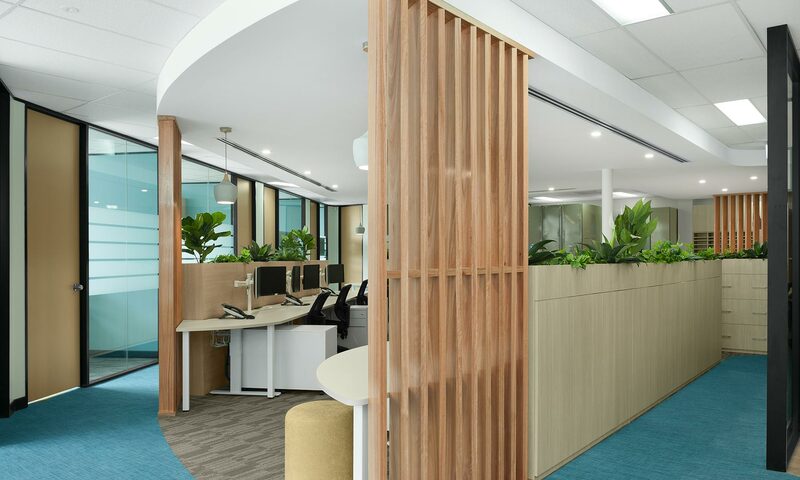 The smart use of storage and greenery as privacy dividers creates an open place space but with enough personal space for each team member. A few small customised details including acoustic panels, in-desk power, shelving and mobile storage caddies provide each team members with an efficient work space. The partners wanted to promote a more agile work space for the team members. A couple of stand-up hot desks were installed to give the team the opportunity to use whenever desired throughout the day.